Yogyakarta, PSKK UGM – There are some fundamental considerations need to be owned by Jokowi and Jusuf Kalla as the President and Vice President elected to the 2014-2019 period, as well as the Tim Transisi in drawing up the structure of the cabinet. First, look at the development issues which will be raised in the coming years on the national and global level. The dynamics of development in Indonesia showed that the complexity needs multi sector strategy. Therefore, the second consideration is the new government needs to devise an institutional model which is able to accommodate the strategies and multi sector work. What development issues needs to be the spotlight? Director of Centre for Population and Policy Studies Universitas Gadjah Mada, Dr. Agus Heruanto Hadna said, there are six major issues that become the development challenge for the new government of Jokowi-JK, namely the human resource issues (quality, quantity, movement or mobility), economic growth and equitable distribution issues, infrastructure issues, food and energy issues, the issue of power support and environment preservation, issues of democracy and human rights. These issues should be the “umbrella” for each ministries in compiling, running, and evaluate their policies and strategies. “Every great issue has several dimensions that can be a basis in the preparation of the cabinet, including the ministries. Human resource issues, for example, there are dimensions of education, health, human population, religion, and employment. Those dimensions, except human population, are already have a ministry to handle it. Then what about the human population dimension?” said Hadna. Dimension of population is a big human resources issue. Almost all the problems of development centered on human beings, it is always starting from the population problems – the quantity and quality of population, mobility or movement of population, and family. The population quantity issues are related to the control of population number. While the population quality issues are related to other issues such as education, health, mental, and cultural. At the same time the population mobility issue or migration associated with the movement of the inter-region inhabitants, including employment matters. Then for family issues, related to quality and the protection of family members, especially those most vulnerable, such as children, women, the disabled, and so on. “If you have understood the importance of population issues, then the population issue should get the attention from the government, particularly in the leadership period of Jokowi-JK. I think the population issue needs to be addressed by a state institusion such as ministry,” said Hadna again. In the meantime, with regard to the preparation of the institutional model, Hadna said pessimistic towards the multi sector strategy if the work pattern of the government is still sectoral. Until now, the Tim Transisi Jokowi-JK looks more into the alternative posture and the upcoming cabinet program. The communication patterns and information of Tim Transisi still get minimal public participation so it is prone to be speculated. 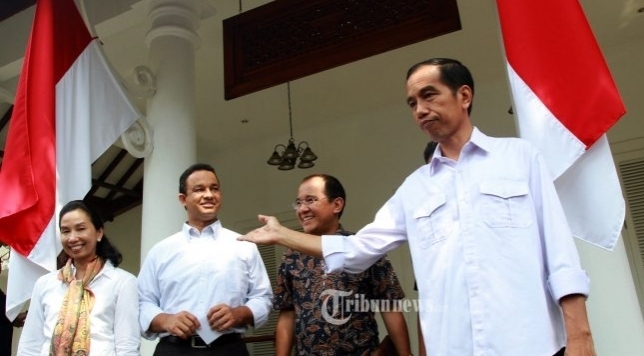 All of the attention focused on the options posture of cabinet Jokowi-JK. “I saw the work of Tim Transisi is only focus at the option of the posture of the cabinet. It is important, but how to remove the attitude and sectoral point of view among the ministries also not less important. Since the government of Indonesia is still there, this kind of sectoralism is hard to get away. Perhaps, if Jokowi wanted to realize a ‘mental revolution’ that he ever campaigned, then this is one that he could intervene,” explained Hadna, the expert of public policy of UGM.